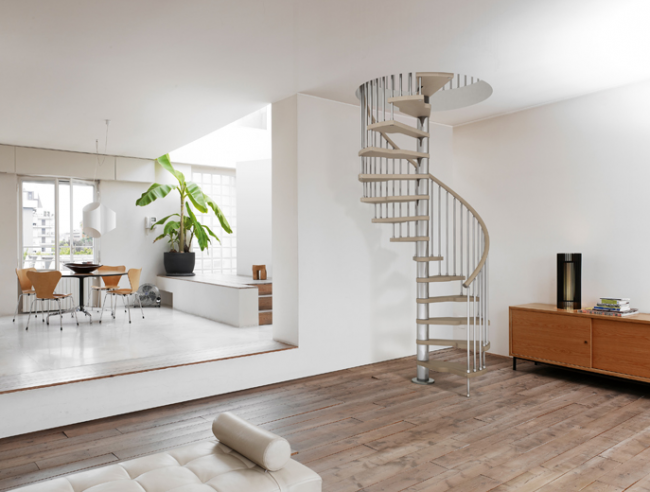 Family friendly Interior design brings up a host of all new issues, and when it comes to the staircase, an integral part of the renovation, safety and durability must be taken into account. It’s time to renovate that new home, and now that children have entered the equation, things must be considered in a different light. Gone are the days when you could enjoy white furniture and delicate end tables. Now the focus is on safety, reliability and of course, a little budget control. 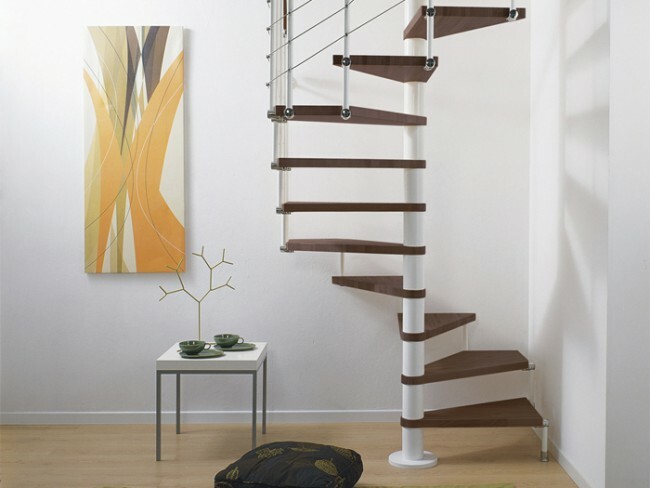 One of the first things to consider in staircase selection that is kid friendly is durability. 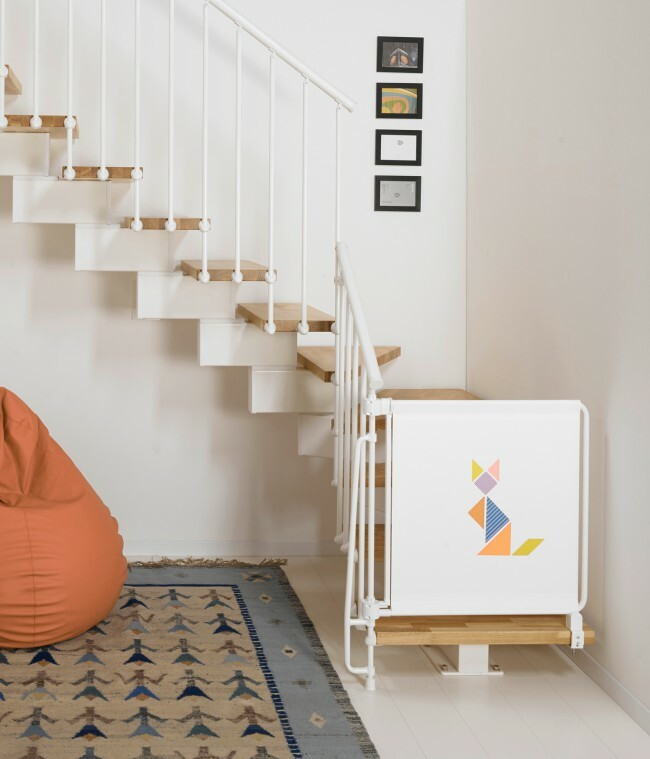 The stairs are typically a one-time purchase, and they should last from the time the children are little until they go off to college and then some. 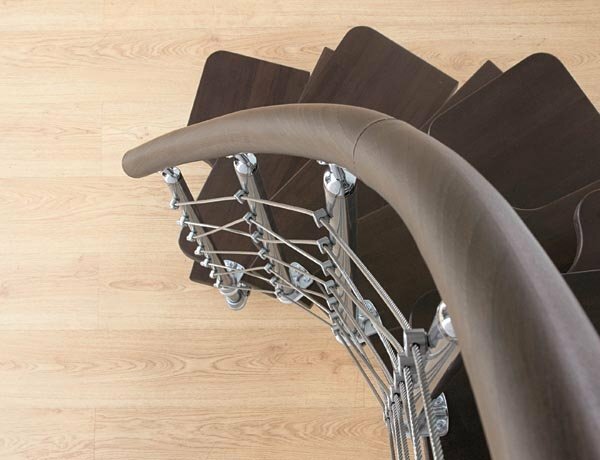 Taking materials into account is the first step, and designers like Fontanot, have carefully chosen a range of high quality woods and stainless steels to realize their stairs. For the treads, it is wise to opt for those made of a solid beech wood as it has good strength properties and high abrasion resistance as seen in Fontanot’s Magia model. As an alternative to beech, classic solid oak is another long lasting option. An immensely durable wood, it contains a high amount of tannin, making it extremely resistant and ready to stand the wear and tear of a full house. The railing is another safety issue that should be taken into consideration. The railings proposed by Fontanot are made of PVC, Polyvinyl Chloride, a synthetic plastic polymer with hard, mechanical properties. 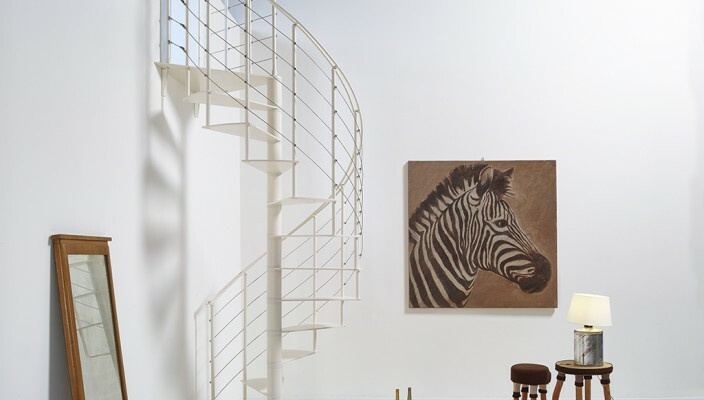 Contrary to choosing a classic wooden rail that submits easily to wear and tear, the PVC handrail with a wood effect, gives the same aesthetic value but with more durability. Not to mention it is easy to clean, another winning factor in a family home. It is also important to look for a product that uses water-based paints, as they are durable, safe and resistant abrasion. If you’ve got really little ones crawling around the house, it’s just a matter of time before they learn to walk and start heading for the stairs. You may want to get yourself in the market for a baby gate, particularly one that meets the safety standards for child-designed products. 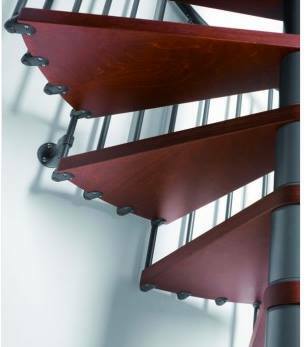 One like the Kalypto model can be fixed to the railing and adjusted to fit different sized interior staircases. Made of fabric that is stretched over a grid tubular frame and plastic joints, the incorporation of softer material makes it an ideal padded option as well. 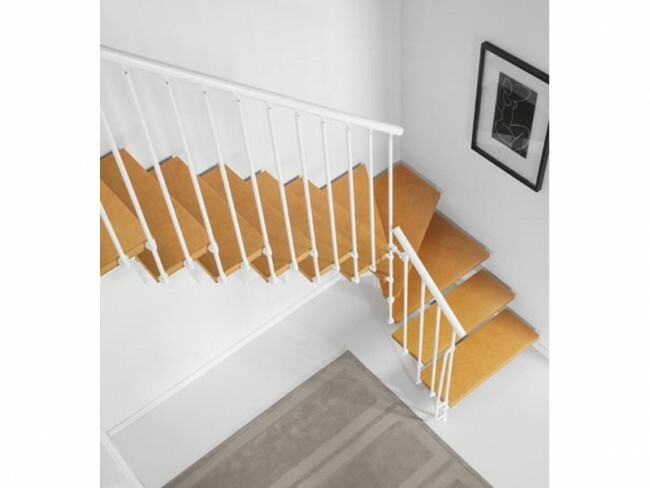 Of course when choosing a staircase, it is always worth the investment, and corners should not be cut. 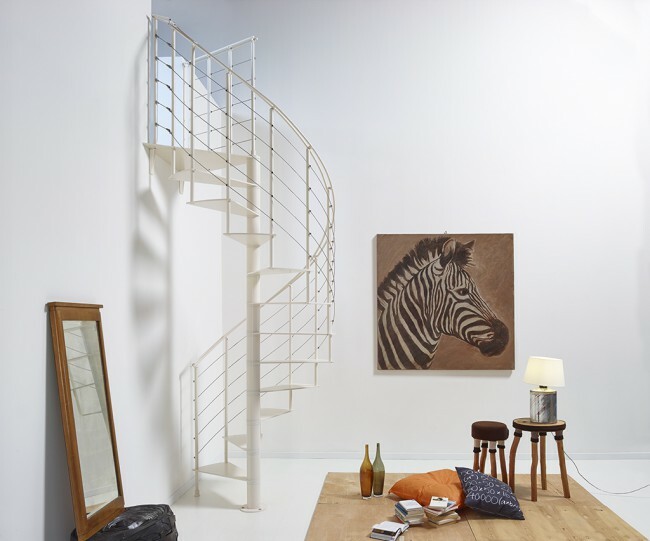 However, there are several options that will surely go easy on your wallet, one of them being DIY stairs. Many stair manufacturers provide do-it-yourself kits, which allow you to completely eliminate the need for a contractor, saving you money and time. But it’s not just the setup that’s a breeze. Look for producers that allow customizable options prior to ordering. 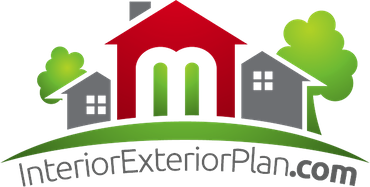 Their websites allow you to personalize your staircase online in just a few clicks to meet your requirements and personal preferences. No need to sit at home waiting for a contractor to measure and install, now it can all be done in a Saturday afternoon involving the whole family. 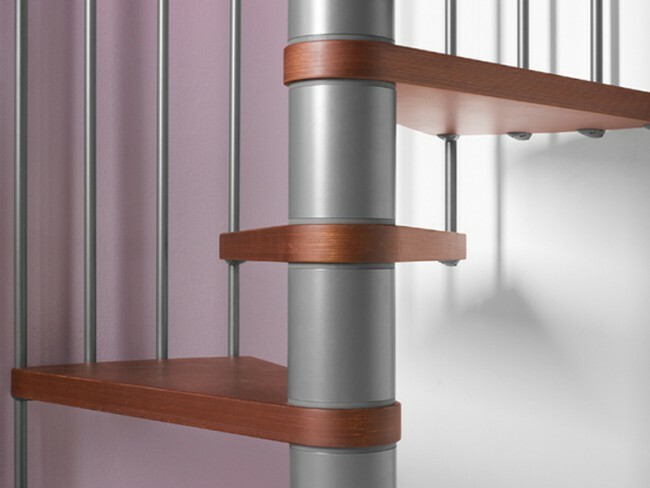 By customizing yourself, you may also take into consideration things like tread, railing and baluster height, which are important for the safety of the little ones. Child proofing your stairs or merely making them family friendly doesn’t have to mean huge sacrifices. You can still incorporate safety with style while making it easier on you and your budget.